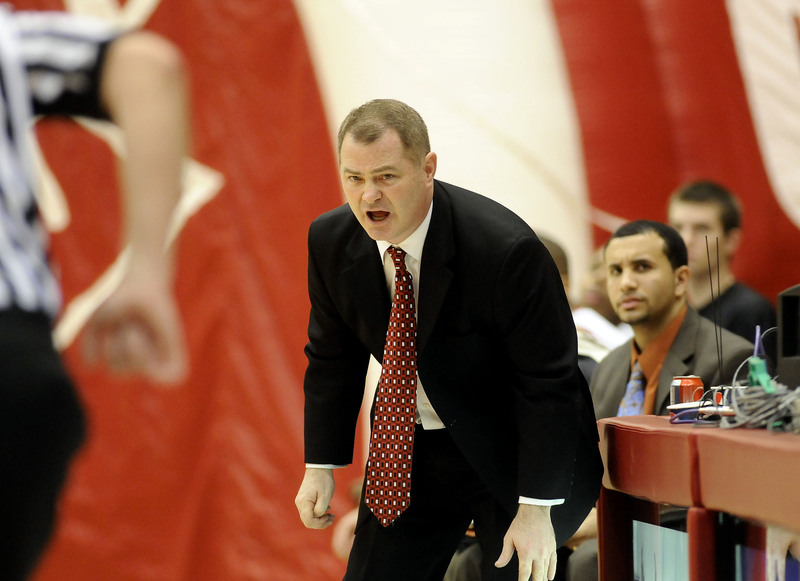 Mon., March 7, 2011, 10:24 a.m.
Less than two days after Eastern Washington closed its men’s basketball season with a 79-70 loss to Weber State in the quarterfinals of the Big Sky Conference Tournament, Eagles head coach Kirk Earlywine was informed that his contract will not be renewed. Chaves refused to put a rigid timetable on his search for Earlywine’s successor, but using a “broad calendar” said he would like to have the position filled by the start of the NCAA’s Final Four. Among some names to surface as potential candidates to replace Earlywine are those of Tacoma Community College head coach and athletic director Carl Howell, a former EWU assistant; Whitworth University head coach Jim Hayford; Washington State assistant Jeff Hironaka; Seattle Pacific head coach Ryan Looney, and Gonzaga assistant Ray Giacoletti, who was EWU’s head coach from 2000-2004 and led the Eagles to their first, and only, NCAA appearance in 2004. It is generally thought that Eastern cannot afford to hire Giacoletti away from GU, and Howell; an Eagles assistant under Mike Burns, could not be immediately reached for comment. But both Hayford and Hironaka expressed interest in the job. “I’m flattered that people would even consider me for that position,” said Hayford, who is in his 10th season at Whitworth. His No. 1-ranked and once-beaten Pirates are in the Sweet 16 of he NCAA Division III national tournament for the second year in a row, and he has won 20 or more games eight times. “I’ve always felt the most important aspect of a job is working under good leadership, and if Mr. Chaves calls to talk to me about the job, I would look forward to learning more about him. Chaves, who spoke with Earlywine’s former players Monday afternoon, indicated he would remain “close-mouthed” about the search, much like he was while hiring Beau Baldwin to replace Paul Wulff as the Eagles head football coach following the 2007 season. Earlywine said he was deeply disappointed by Chaves’ decision, adding he felt the program had “turned the corner” after finishing tied for fifth in the BSC standings and qualifying for the six-team league tournament for the first time in five years. In addition, the Eagles closed the regular-season with impressive wins over Montana and Weber State, who finished second and third in the conference. “But as disappointed as I am for myself, I’m even more disappointed for my players, my assistant coaches and the program, in general,” said Earlywine, who went 42-78 overall and 24-40 in conference during his four seasons at EWU. “In my eyes, the decision was made before we even got on the plane (to Weber State), and probably even before the Montana game at home. Chaves explained that his decision was not based on one or two games, but on a long-term evaluation of the program. According to Earlywine, it was decided during that meeting he and Chaves would meet once a month to evaluate the progress of the program. Earlywine said he doesn’t know what the future holds for him, or the members of his staff, whose one-year contracts also expire at the end of March. But he added he hopes to land another college coaching job. Published: March 7, 2011, 10:24 a.m.